Never know what to post? Scared of getting your ‘gram “wrong”? Don’t have time to create the content you want to? Or don’t even know where to begin? 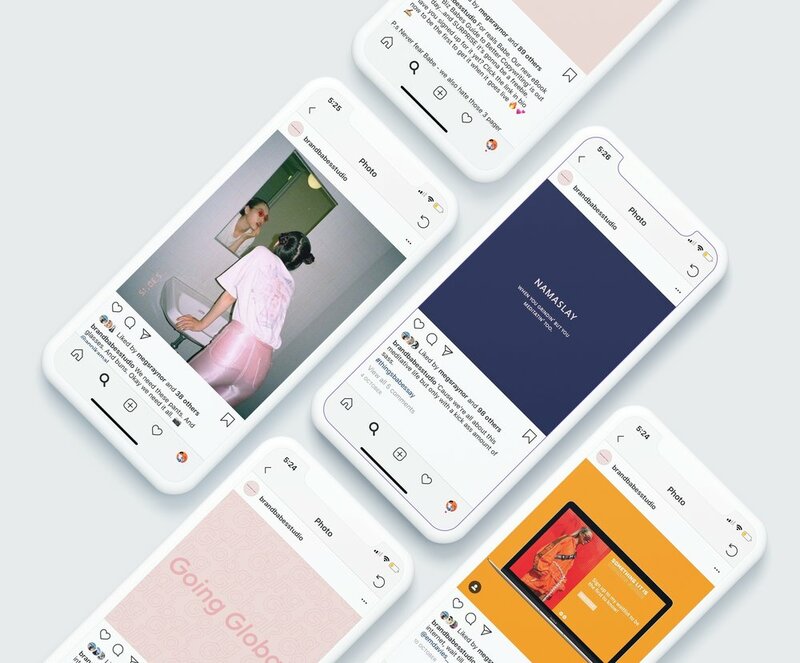 We create social strategies that help Babes maintain a strong, on-brand feed - one that makes people want to tap ‘follow.’ Your instagram is your brand’s social proof, it should show who you are as a brand and why you’re worth following. Let’s help you out. See some more Babe’n client examples. Includes: Social strategy, content pillars, instagram templates, social bios, curated folder of on-brand stock imagery, and examples of each content pillar in action. Are you ready to stop overthinking your ‘gram and start making it Babe’n? Contact us Babe!